Your gift to John Jay will provide support for the College and enable John Jay to continue its groundbreaking work in educating the next generation of scholars, leaders and heroes. Our students depend on your generosity to provide them with a first-class education, and your support allows us to continue to be the preeminent institution of higher education in criminal justice. Give a gift today and be a part of the growth and excitement that is currently taking place at John Jay College. The Abby Stein Memorial Fund supports the John Jay – Vera Fellows Program, a joint venture between John Jay College of Criminal Justice and the Vera Institute of Justice. Launched in 2008, the academic internship program provides ten students with a year-long internship at a Vera spinoff agency and a weekly seminar with three John Jay professors from different disciplines. Donations to the fund will support maintenance and development of the program, including student stipends and program events. To give to the Abby Stein Memorial Fund, Click Here. 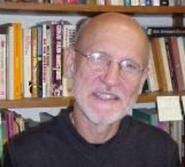 Professor Emeritus Jon-Christian Suggs joined the faculty in September 1973 and served in many leadership roles, including coordinator of the Thematic Studies Program, and founder of the interdisciplinary Humanities and Justice major. As Chair of the Department of English from February 2005 to July 2007, he developed the specialization of law and literature that is to this day a distinctive feature of the college’s English major. He remained an involved and well-loved member of the John Jay College Community until his passing on August 5th, 2016. In honor of his dedicated career at John Jay and in recognition of his positive impact on students, faculty, and the humanities curriculum, Professor Suggs’ family, friends, and colleagues created The Jon-Christian Suggs Memorial Scholarship Fund. Donations to the fund will directly support a deserving John Jay College student who is an English major and has chosen to specialize in law and literature. Donate to the Jon-Christian Suggs Memorial Scholarship in Literature and Law, Click Here. With the support of the John Jay Alumni Association, each year an eligible sophomore is awarded a $4,600 scholarship supported entirely by alumni. The Jay Walk is at the heart of the new campus. A grassy, rooftop plaza and an oasis of green in bustling Manhattan, the Jay Walk adds a breath of fresh air to campus. Alumni, faculty, staff and friends of the College have all helped to pave John Jay’s future by making donations toward bricks, trees and benches in this already beloved space. You can leave your mark on this signature space by donating today. Click HERE to see the Jay Walk come to life. Whether you wish to memorialize a loved one, provide financial support for qualified students, or underwrite the work of an academic department, a bequest can achieve your goals and associate you with John Jay College for years to come. Please contact Adeshola Akintobi by email at aakintobi@jjay.cuny.edu or by phone at 212.621.3376 for more information and to discuss our legacy giving options.